Treacle Toffee (or Bonfire Toffee as it is often affectionately referred to in memories of youth) – Made using really thick treacle and golden syrup. Once you have tasted this toffee it sticks to the inside of your mouth and won’t let go until it has let all of its strong sticky gooey flavours out. Ingredients list: sugar, MILK, glucose syrup, palm oil, butter, salt, lecithin, flavouring, black treacle, golden syrup. 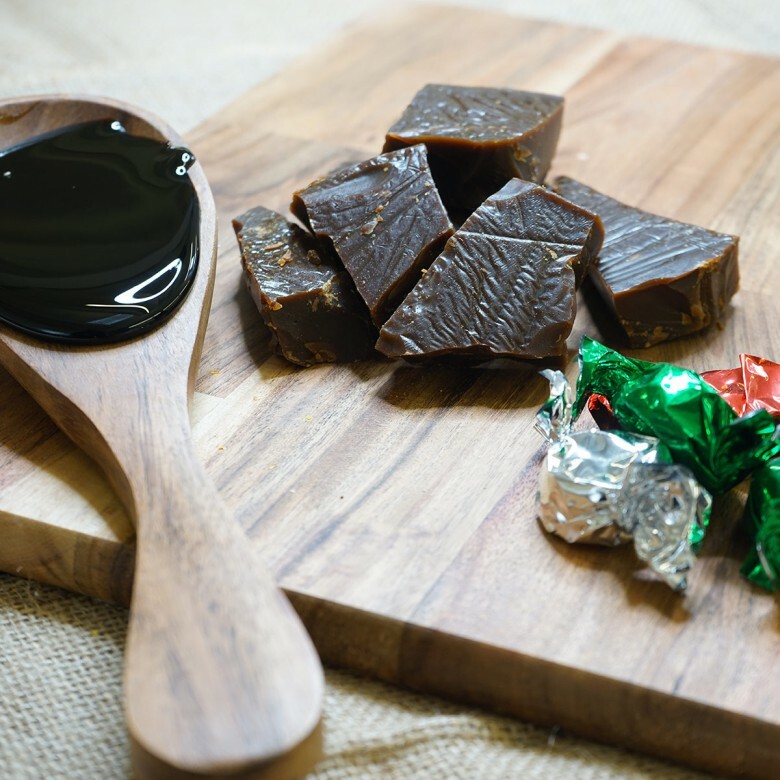 Treacle Toffee is available in two sizes; a 150 gram bag or a 450 gram box.